In this article, you will find how to change a media (Image, .pdf, .docx, .rar and youtube video) on your translated website. Sometimes, you might need to display a different media (such as an image including texts) in the translated version. 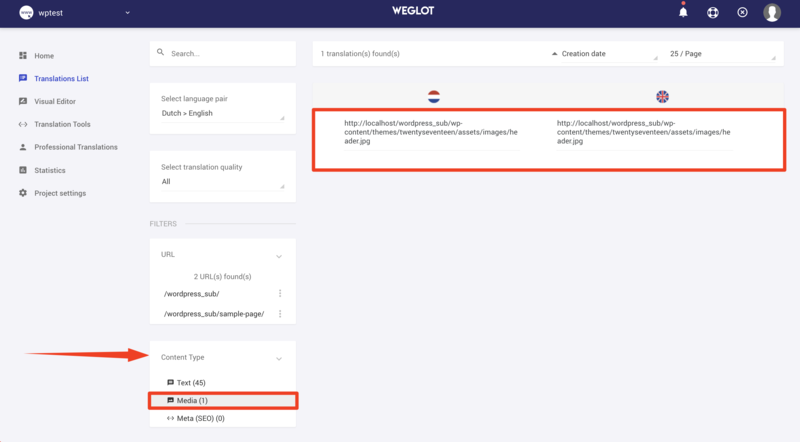 With Weglot, you can do that by adding the URL of the translated media in your translations. Go to your Translation list, in the Media tab and find the media you choose to translate. Note that you can find it using the Search bar, pasting the URL of the original Media. Refresh your website. The media is now displayed in your translated version. You're using Wordpress and it's not displayed? Clear your website cache and refresh.